Hey all, I have some misc Mini gear for sale since I no longer have my MCS. I'm in the far NW suburbs but am willing to drive a bit to meet up. Feel free to e-mail me if you have any questions or want additional pix. I also have a quart and a half or so of oil (OE) and a new filter or two. I'll toss them in free to whoever, if anyone, first picks up any of the items below. 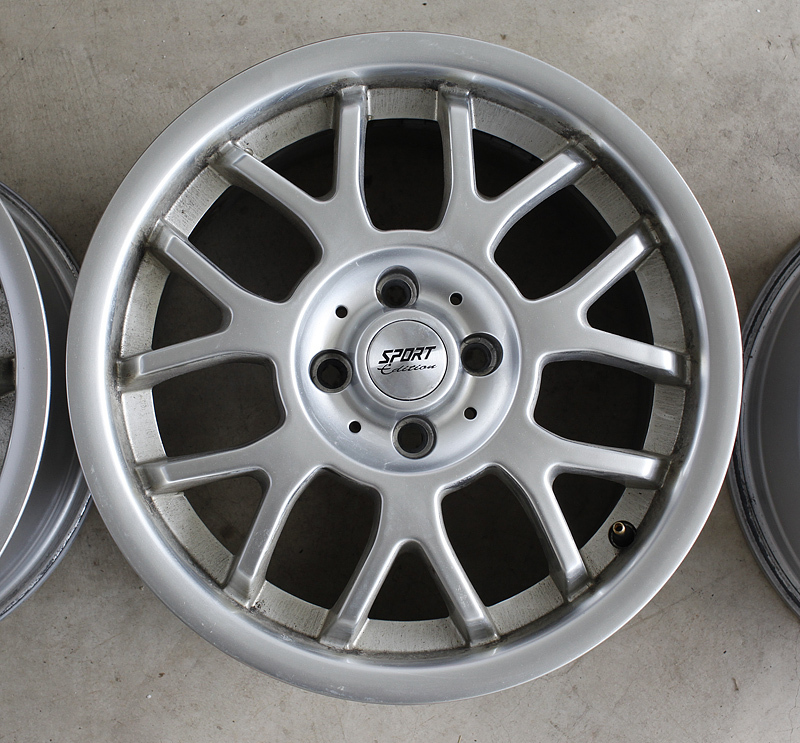 Sport Edition CD wheels that were used for 2.5 winters. 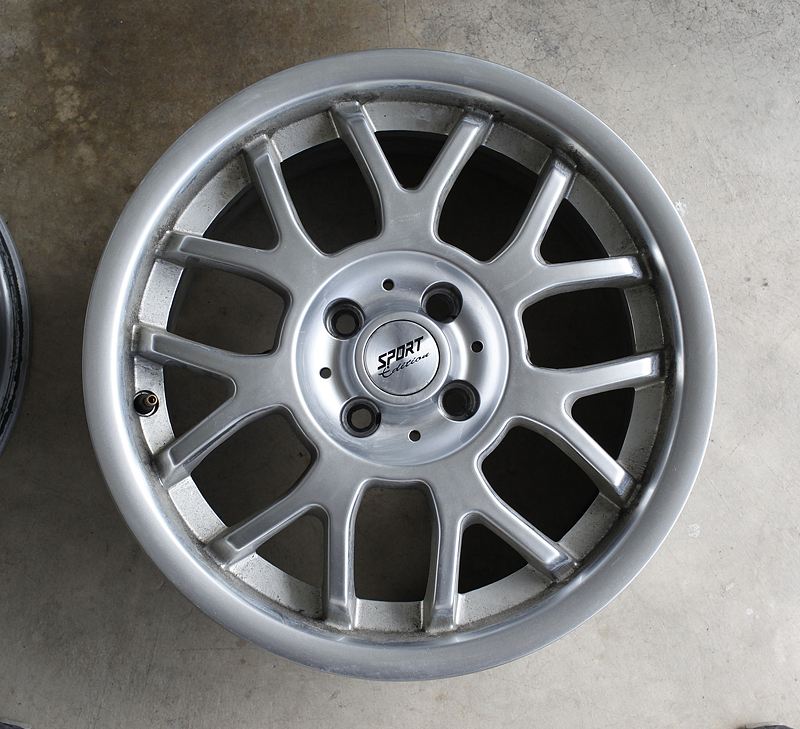 Wheels are 16" x 7.5" with an offset of 40mm. As mentioned, they have a 4x100mm bolt pattern. 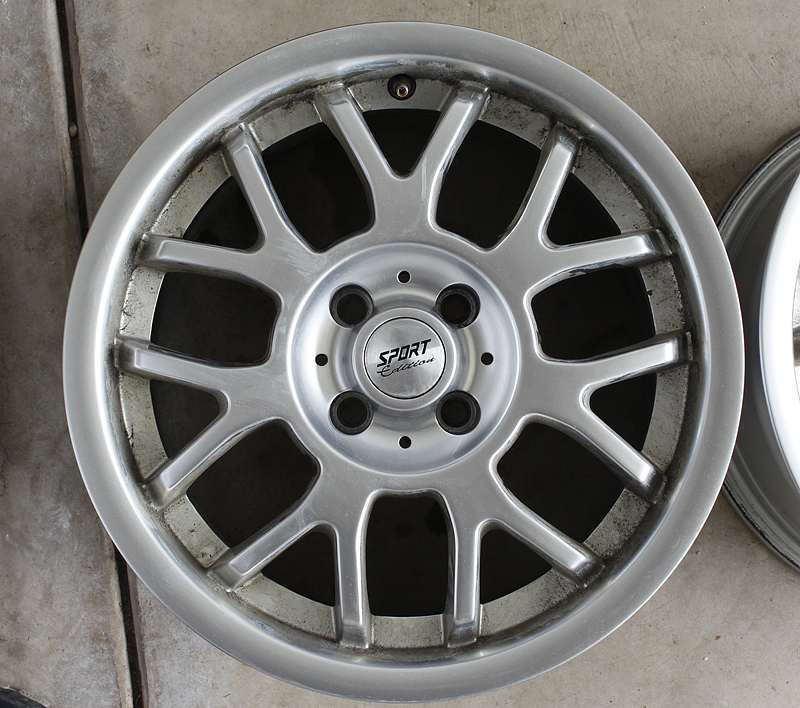 They are a bit dirty in the pictures but all the wheels are true/round and have never been curbed. The white-ish looking sections on the wheel face are just a haze from when I wiped them off real quick; not from discoloring or surface damage. I have boxes from some other wheels that I have been storing the wheels in and will include those as well (easy transport!). 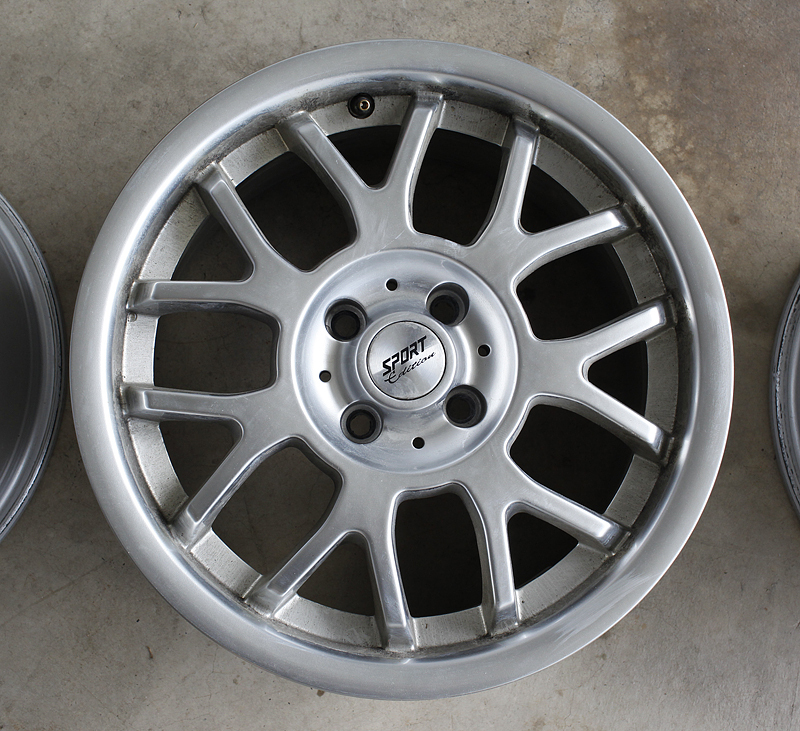 New, the wheels cost $340 + s/h. Asking $170 OBO. It is in excellent condition as it was not really used for anything while I had my MCS.The bulge between the 2 compartments is not a deformity; there just isn't any velcro to hold the organizer in place (in case you were storing something that ran the length of both of the compartments)...nothing a little hook velcro wouldn't solve. I still have the mounting hardware but do not have the paper template that came with the storage system (it was fairly useless). 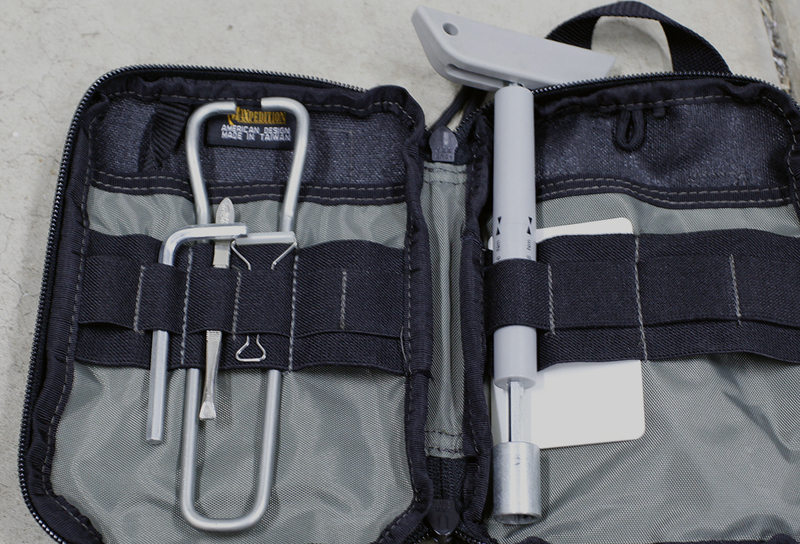 New, the OE storage system is $120 from Mini USA. Asking price is $75 OBO. Overall, they are still in great shape (no bends, gashes, etc...) and I still have all the installation tools and manual. I do not have the plugs for if you remove the roof rack. I forgot to pull them off before I got rid of the car (sorry). New the rack is $178 off Amazon ($255 from Mini USA). Asking price is $125 obo. 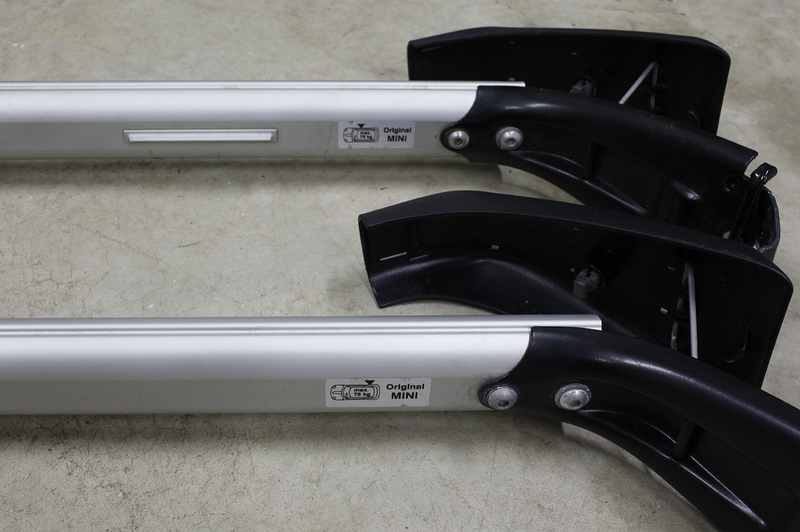 Black NM Engineering strut tower brace. Installed on the car for about 2 years. No tracking while I had the car, just spirited daily driving. There is an area that appears to have worn thru the power coat, though. I'll try to get a better picture. Got it for $310 from NE. Asking $170. Last edited by bosstones; 11-29-2015 at 06:50 PM. Wheels and roof rack sold! Is any of this stuff still available?